Facebook gave at least 60 device makers broad access to its users' information, potentially in conflict with what the company told Congress, a new report has revealed. Many of the partnerships, with companies such as Apple, Amazon, BlackBerry, Microsoft and Samsung, remain in effect even after Facebook began to quietly unwind them in April, according to a lengthy report in the New York Times. Under some of the agreements, device makers could access the data of users' friends, even if they believed that they had barred sharing, the Times reported citing company officials. The latest revelation affects every Facebook user worldwide. Facing blowback from the Cambridge Analytica data harvesting scandal in March, Facebook vowed that it had put an end to that kind of information sharing, but never revealed that device makers had a special exemption. However, Facebook blasted back at the Times report, saying the newspaper has misinterpreted the purpose and function of its so-called 'device-integrated APIs' - the software that allows hardware companies to bridge into Facebook's database to offer versions of the app on their operating systems. 'In the early days of mobile, the demand for Facebook outpaced our ability to build versions of the product that worked on every phone or operating system,' Ime Archibong, Facebook's VP of Product Partnerships, wrote in a Sunday statement responding to the Times report. 'Contrary to claims by the New York Times, friends' information, like photos, was only accessible on devices when people made a decision to share their information with those friends,' Archibong wrote. Archibong said that these device interfaces are 'very different' from the type of public interfaces that allowed Cambridge Analytica to harvest data on millions of users. 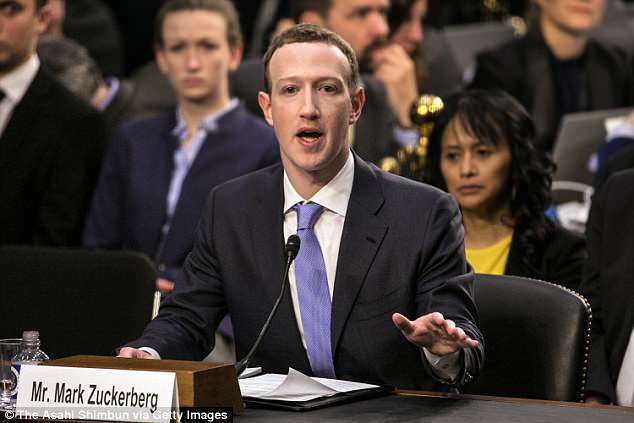 On April 24, weeks after CEO Mark Zuckerberg testified to Congress about user privacy, Facebook said in an announcement to developers that it was winding down access to device-integrated APIs. What does your Facebook data file hold? According to Archibong, 22 of the partnerships have already ended. However, James Knight, principal consultant of US tech firm Digital Warfare Corp., described the NYT's findings as ‘incredibly concerning. 'This latest revelation is certainly new and affects every Facebook user worldwide. 'It is well known that information companies hold data on every area of our lives from our job history to where we have lived. This information however can be quite sterile. ‘Unfortunately we all sign away many of our rights when joining leaving ourselves somewhere between the whim of Facebook and whatever privacy rights our governments have enacted,' he added. Critics of the company say that the device-integrated APIs are a violation of that control, however, allowing device makers a direct line into user data. 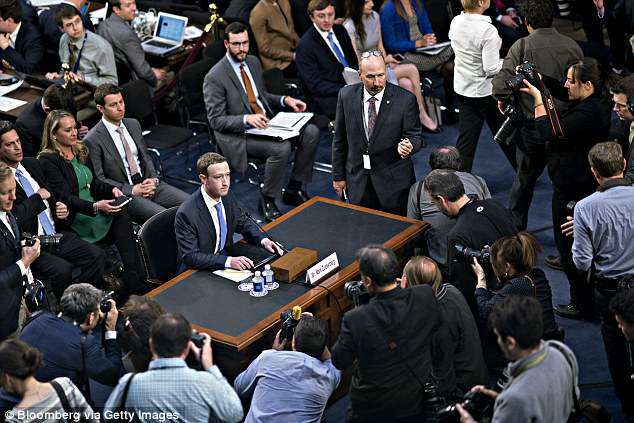 Sandy Parakilas, a former third-party advertising and privacy compliance for Facebook's platform told the Times that he believes the fact that the deals continue to exist contradicts Zuckerberg's testimony. 'This was flagged internally as a privacy issue,' in 2012 said Parakilas, who left Facebook that year and is now a harsh critic of the company. 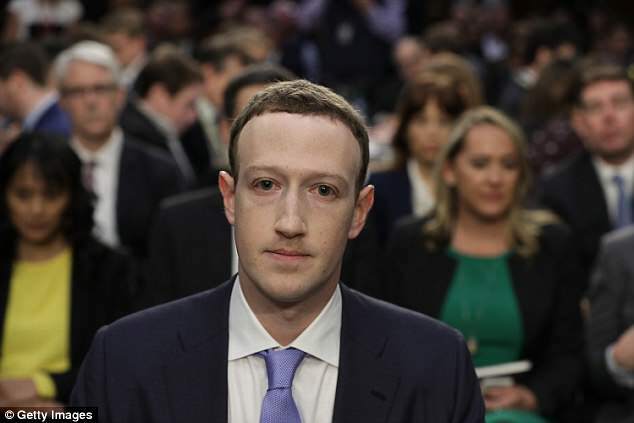 Facebook co-founder, chairman and CEO Mark Zuckerberg testified before a combined Senate Judiciary and Commerce committee hearing in the Hart Senate Office Building on Capitol Hill April 10, 2018 in Washington, DC. Serge Egelman, a privacy researcher at the University of California, Berkeley, told the NYT that while people might assume that Facebook or the device manufacturer was trustworthy, the concern is that with the amount of data being collected on the device increasing, and which can be accessed by the device’s apps, this jeopardized people's security and privacy. Also, several former Facebook software engineers and security experts told the Times they were surprised at the ability to override sharing restrictions, with one consultant likening it to having locks installed on your doors, to later find the locksmith had given spare keys to all your friends to come inside and take a look, uninvited. Amazon and Samsung declined to comment on whether they had access to Facebook user data through the APIs. Apple said that it had previously used the software interfaces to allow iPhone users to do things like post photos to Facebook without opening the app, but that its device access was terminated in September. Microsoft said its API access ended in 2008, adding that the bridge was used to do things like add contacts and receive notifications, and that all data was stored locally on the user's device. BlackBerry said that the access was only used to give its own customers access to Facebook and messages. 'As such, I would highly recommend that people move away from social media sites like Facebook or at least minimize what is shared. Device-integrated APIs was software launched 10 years ago to help get Facebook onto mobile devices. ‘In the early days of mobile, the demand for Facebook outpaced our ability to build versions of the product that worked on every phone or operating system. ‘Back then there were no app stores. So companies like Facebook, Google, Twitter and YouTube had to work directly with operating system and device manufacturers to get their products into people’s hands. This took a lot of time — and Facebook was not able to get to everyone. ‘To bridge this gap, we built a set of device-integrated APIs that allowed companies to recreate Facebook-like experiences for their individual devices or operating systems. ‘Over the last decade, around 60 companies have used them — including many household names such as Amazon, Apple, Blackberry, HTC, Microsoft and Samsung. ‘Given that these APIs enabled other companies to recreate the Facebook experience, we controlled them tightly from the get-go. ‘These partners signed agreements that prevented people’s Facebook information from being used for any other purpose than to recreate Facebook-like experiences. Partners could not integrate the user’s Facebook features with their devices without the user’s permission. ‘And our partnership and engineering teams approved the Facebook experiences these companies built. Contrary to claims by the New York Times, friends’ information, like photos, was only accessible on devices when people made a decision to share their information with those friends. ‘We are not aware of any abuse by these companies. ‘This is very different from the public APIs used by third-party developers. These third-party developers were not allowed to offer versions of Facebook to people and, instead, used the Facebook information people shared with them to build completely new experiences. ‘Now that iOS and Android are so popular, fewer people rely on these APIs to create bespoke Facebook experiences. It’s why we announced in April that we’re winding down access to them. In mid-April, about a week after Zuckerberg testified in front of the US Congress, Facebook’s product management director, David Baser, published information on what data the company collects when not using Facebook, and why. Facebook replied: ‘We’re going to set a higher standard for how developers build on Facebook, what people should expect from them, and, most importantly, from us. ‘This includes investigating all apps that had access to large amounts of information before we changed our platform to dramatically reduce data access in 2014 and conducting a full audit of any app with suspicious activity.